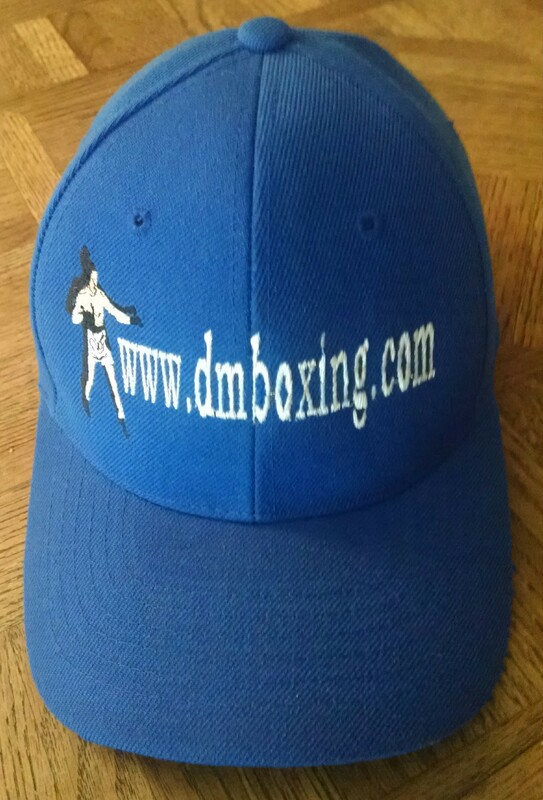 With Christmas just around the corner, here’s your complete menu for all dmboxing products available … I am offering a holiday special of 15 percent off any product and this also includes FREE shipping with your purchase order to any location within the continental United States of America … this special discount price is good until December 15, 2015 … thank you for making this website one of your choices in boxing! 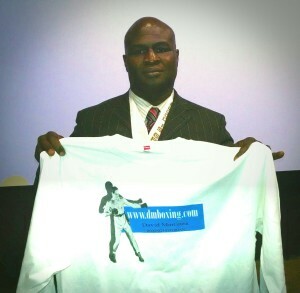 Former IBF middleweight, IBF super middleweight and IBF cruiserweight champion James Toney proudly displays the official dmboxing.com t-shirt … thank you champ! As a special 2014 holiday discount … every item purchased includes FREE shipping to any location in the continental United States of America. To see all products, go to categories on menu on this website and look under – hats, tank tops, t-shirts, coffee mugs and click on desired product to view. *** Model: Suzie ~ Thank You! 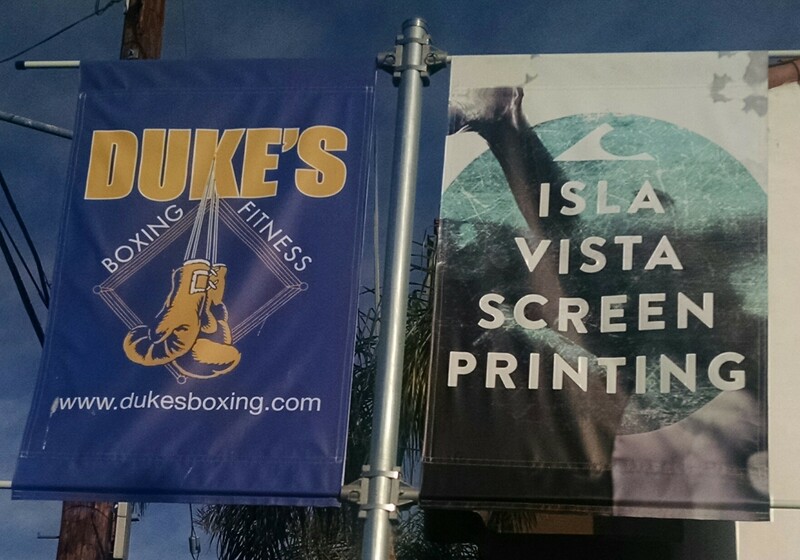 I must recognize my friends at Isla Vista Screen Printing for their outstanding service. Co-owner’s Garrett Gerstenberger and Jose Cardoso offer top quality attire. If you are in the Santa Barbara, California area, a must is to stop in and say hello, and to view a wide selection of their custom clothing line. BTW ~ Garrett’s birthday is next week on November 8, wishing him a pre-Happy Birthday. 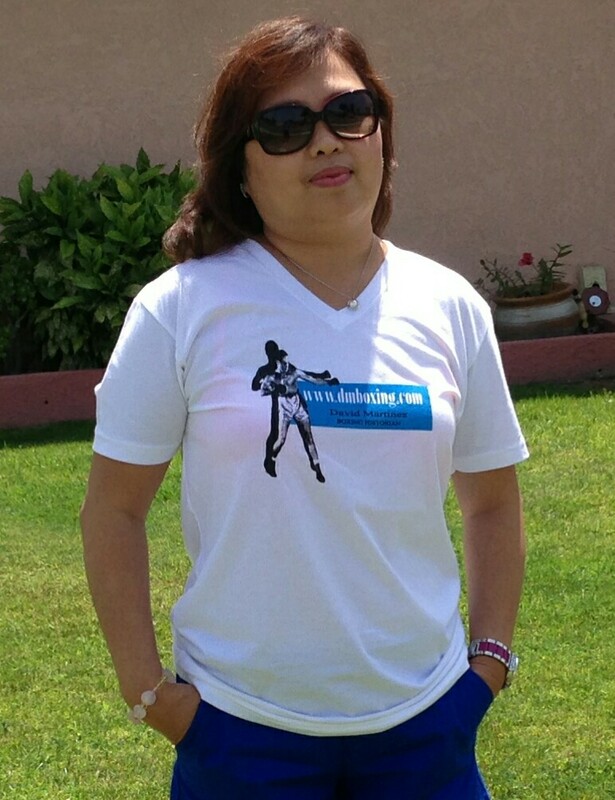 I am delighted to say that they are the makers of the T-shirt apparel that you can purchase right here on my website. For viewing of www.dmboxing.com t-shirts, go to the Categories section and click onto T-shirts and tank tops. 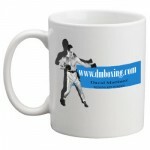 As just my way of saying thank you for making this website one of your choices in boxing, every item purchased includes FREE shipping to any location in the continental United States of America. To see all products, go to categories on menu on this website and look under – hats, tank tops, t-shirts, coffee mugs and click on to see desired product. A special “discount” offer to my loyal boxing fan base … I am offering my most attractive V-neck t-shirt & coffee mug for just $20.00 – both products! 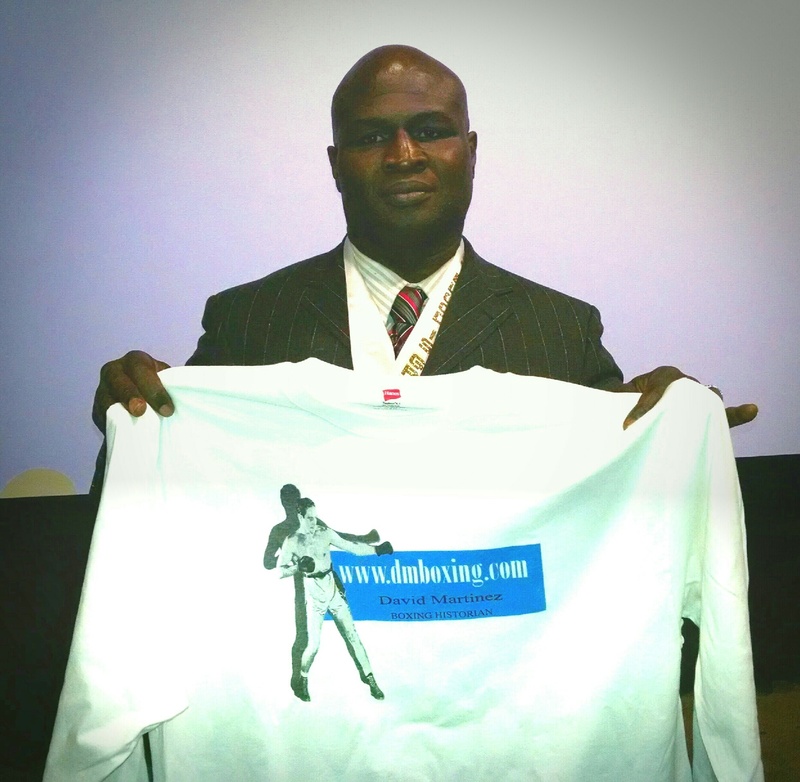 The t-shirt is white in color with short sleeves and features the official dmboxing logo on front and website address is displayed across the upper back shoulder area for easy viewing. Sizes available are: small (S), medium (M), large (L), extra large (XL), and double extra large (2XX). 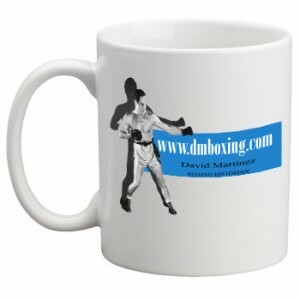 The coffee mug is 12 ounce size with the official dmboxing logo displayed. 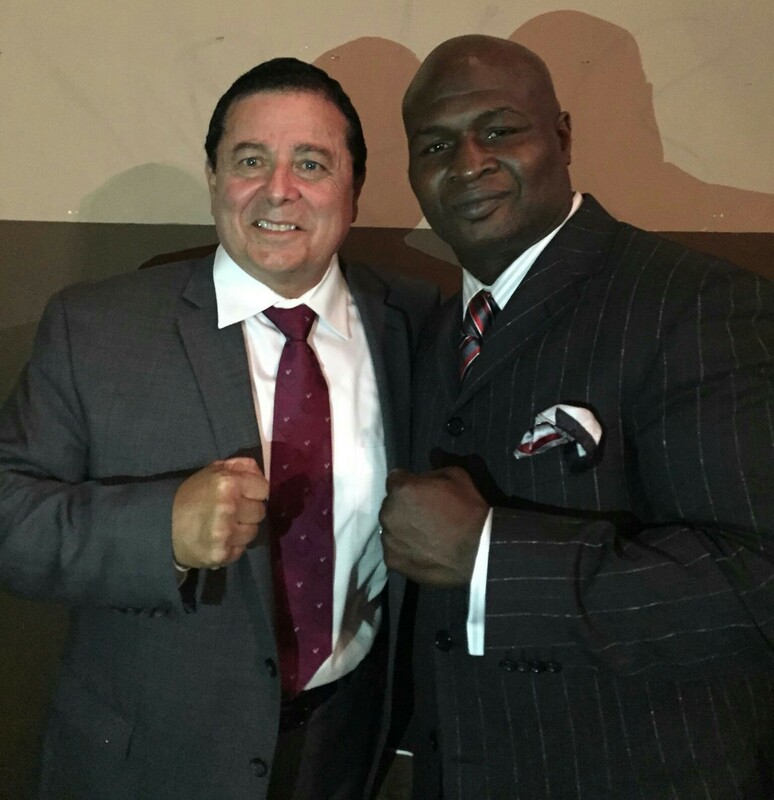 To order BOTH products, send check or money order (NO cash please) for $20.00 and as my appreciation for choosing this website as among your many choices in boxing, I am including FREE shipping to any where within the continental United States of America. *** Model: Cely ~ thank you! Start the new year 2014 by treating yourself or to friend with one of my fine attractive products. As just my way of saying thank you for making this website one of your choices in boxing, every item purchased includes FREE shipping to any location in the continental United States of America. 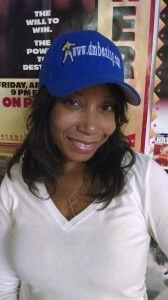 To see all products, go to categories menu on this website and look under hats, tank tops, or t-shirts, coffee mugs and click on to see the product. Christmas is just around the corner and any of these products certainly would make a great gift – so be sure to order early. As just my way of saying thank you for making this website one of your choices in boxing, every item purchased includes FREE shipping to any location in the continental United States of America. 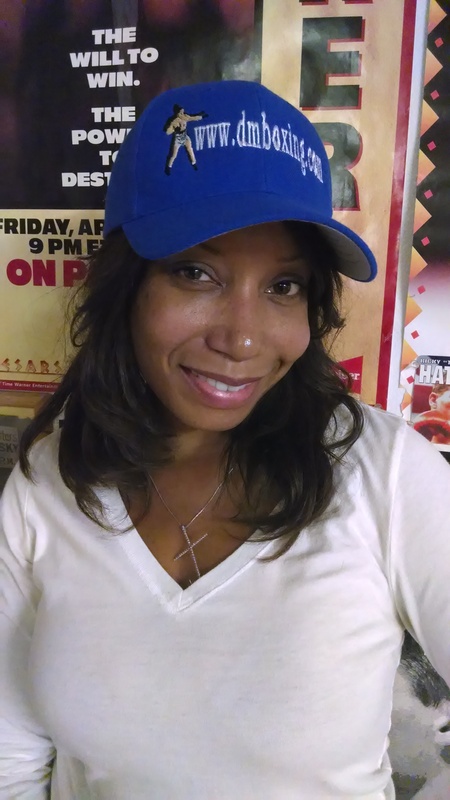 To see all products, go to categories menu on this website and look under hats, tank tops, or t-shirts; coffee mugs and click on to see the product.